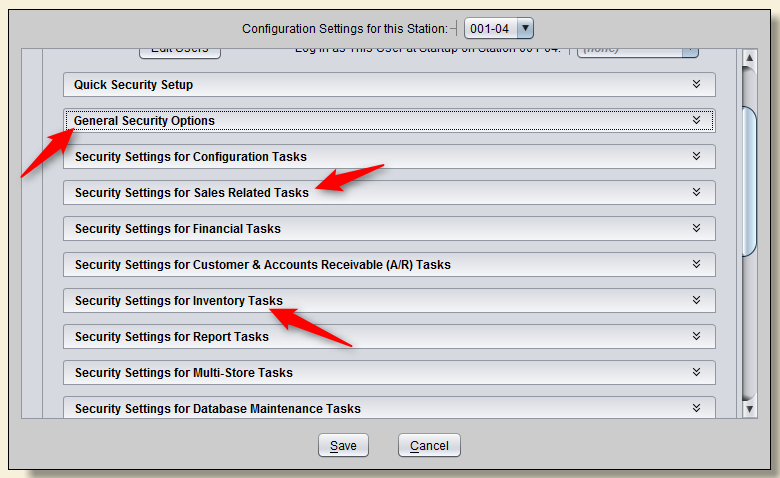 Start by selecting Tools from the main menu on Artisan, then select Program Options. Quick Security Setup is a great way to quickly apply a filter to some or all of the tasks that your Users might accomplish. To best take advantage of this setup option, it is very important to make sure that all Users are properly assigned per the Authorization Level under Users & Security Settings… — Edit Users. Minimum Security – This setting allows all Users unlimited access to all tasks, with the exception of changing Security Settings. 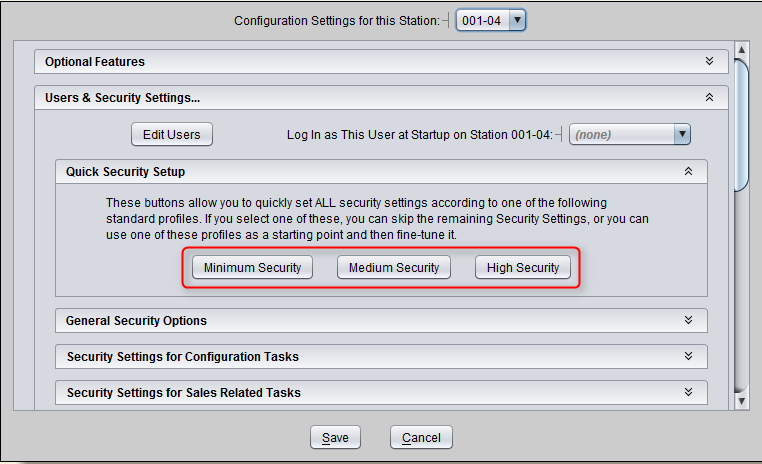 Medium Security – This setting establishes a requirement of Supervisor authorization for sensitive tasks. High Security – This setting establishes a requirement of Manager authorization for sensitive tasks, and Supervisor authorization for all other tasks. 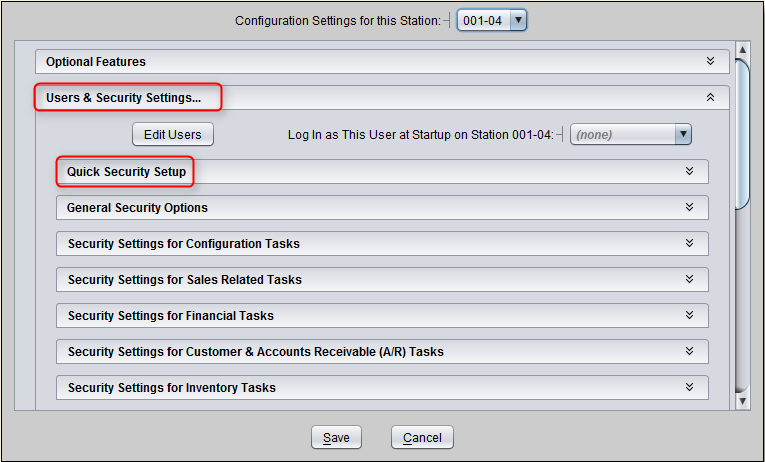 You do have the ability to customize individual settings per Level as well, but it is recommended to utilize the Quick Security Setup to start out with.